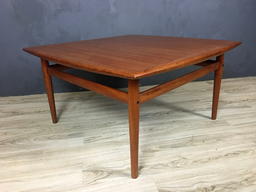 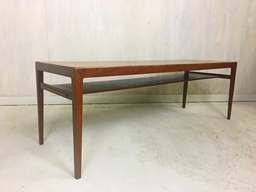 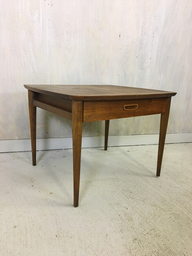 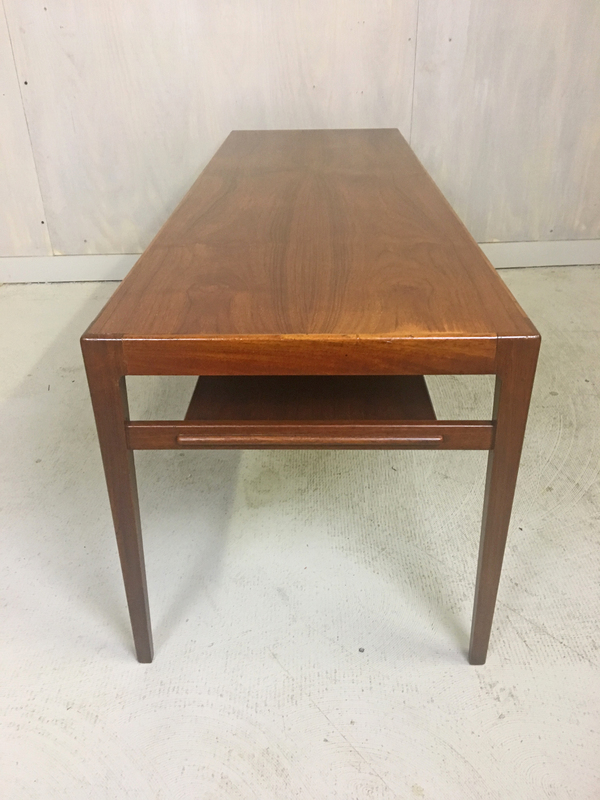 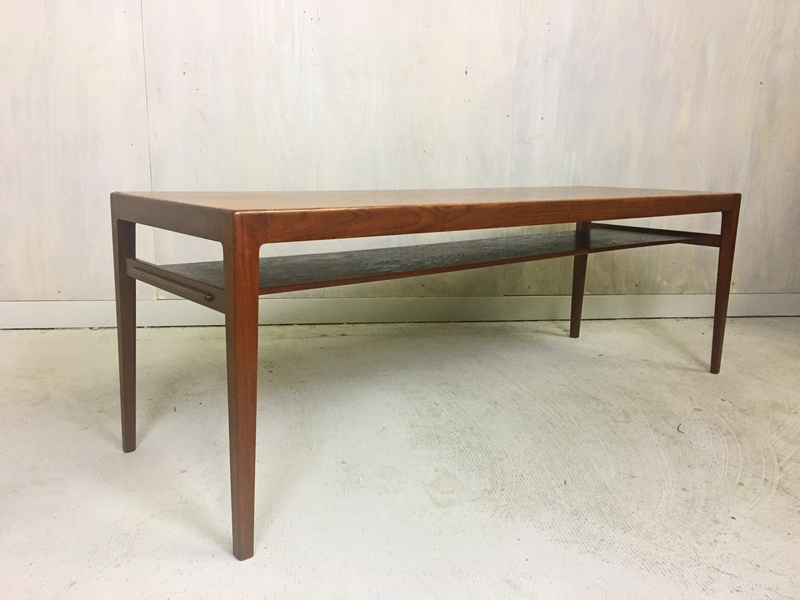 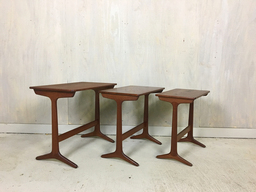 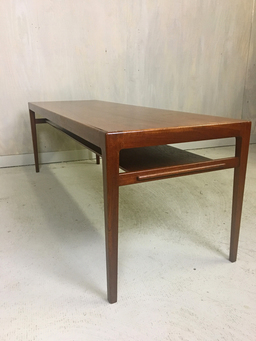 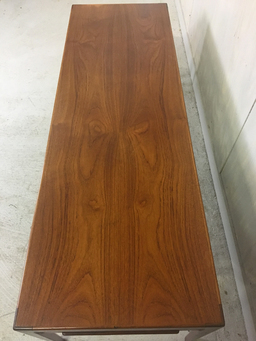 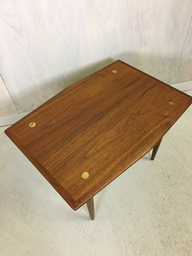 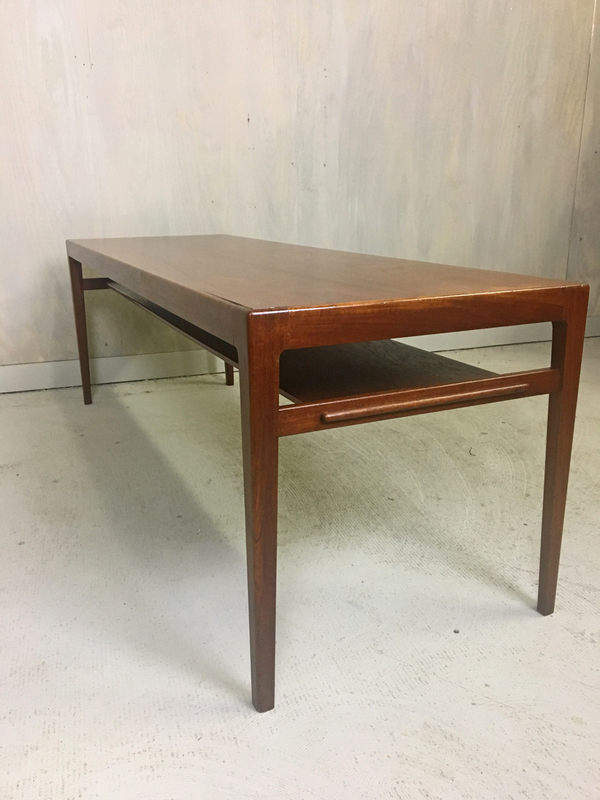 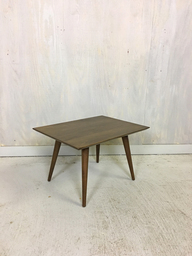 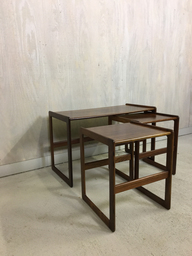 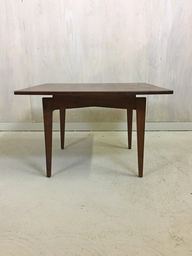 Slender, graceful proportions and warm mellow teak make this coffee table designed by Ludvig Pontopiddian circa 1960's a standout. 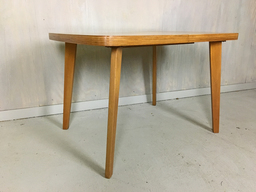 The table feaures gently tapered legs and a shelf underneath. 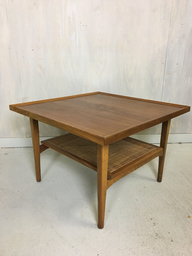 Piece has been thoroughly cleaned and Danish oiled. 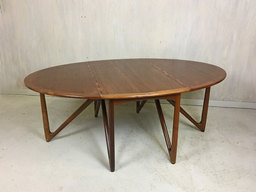 In excellent condition with only minor marks of age and one area on the edge where the finish has worn (see photo). 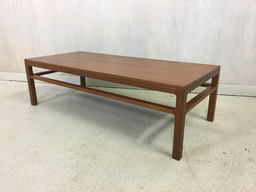 Very sturdy and functional.